Black wood framed magnetic board. 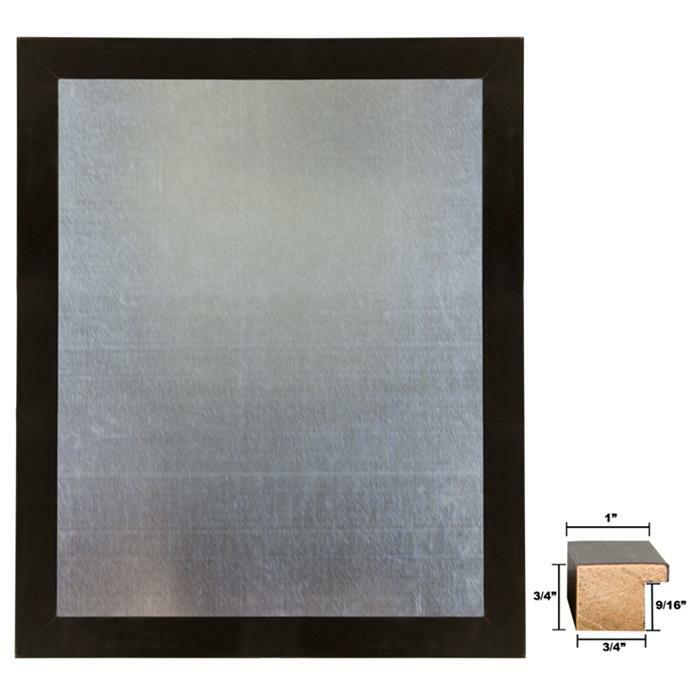 This magnetic board features a black wood frame. Frame also includes a heavy gauge sheet of galvanized steel. These magnetic boards are not the cheap quality found in most office supply stores! Sizes listed are for the size of the magnetic surface. For the finished size add on 1 1/2"
11x14" Outside is 12 1/2" x 15 1/2"
16x20" Outside is 17 1/2" x 21 1/2"
18x24" Outside is 19 1/2" x 25 1/2"
24x30" Outside is 25 1/2" x 31 1/2"
24x36" Outside is 25 1/2" x 37 1/2"